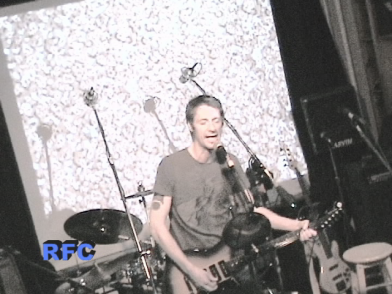 Pat McAfee kicks off RFC 63, with Stephen Beckner, The ButtonFlies and Tofujitsu! The latest edition of Radio Free Charleston, “Bauhaus Shirt”, is online now! This is yet another music-packed episode, featuring new tunes from Stephen Beckner, The Buttonflies, and returning for a second week in a row Tofujitsu. We also have a five-second appearance from WVU Mountaineer Football’s all-time leading scorer, Pat McAfee and by popular demand, the return of vintage beer commercial animation. Host segments were shot in an undisclosed location in the hills surrounding Charleston. There are reports that this undisclosed location bears an uncanny resemblance to the deck behind Sean Richardson and Karen Allen’s house, but we are sworn to secrecy. Also, it was raining that day. Pat McAfee, in addition to being Mountaineer football’s leading scorer, is also one heck of a nice guy. He made his professional wrestling debut with IWA East Coast just a few days ago and he has a brief message for fans of Radio Free Charleston. Honestly, it’s really brief, but it was still very cool of him to do it. Speaking of IWA East Coast, Mad Man Pondo and his crew return to the South Charleston Community Center with a special tribute show to wrestling legend Gypsy Joe on April 1. You should make it a point to be there. You never know who will show up. Our first musical guest is a Radio Free Charleston mainstay, Stephen Beckner. 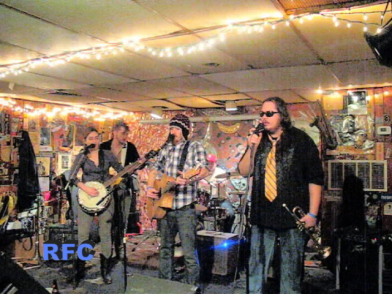 Stephen first appeared on episode two of the Radio Free Charleston web show and his first appearance on the radio incarnation of RFC dates back nearly twenty years with his band Go Van Gogh. We recorded Stephen performing the song “Best Not Talk” at Live Mix Studios during a party last month. We are hard at work on a special, top secret project, that would see an entire episode of Radio Free Charleston devoted to Stephen’s old band, Go Van Gogh. Another special project involving Stephen is a special Live Mix concert coming up at the end of May, featuring Hitchcock Circus, the Nashville based band that features Stephen’s brother Mark Beckner, as well as Alan Young, the brother of RFC Big Shot Brian Young and former Go Van Gogh auxiliary member, Mark Mangrone. We’ll tell you more about that show as the date approaches. 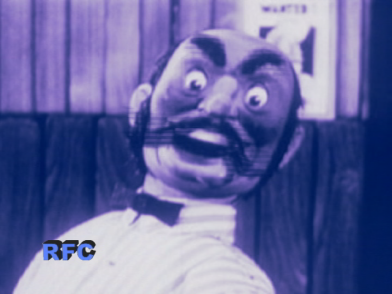 The animation featured on this episode of RFC is a classic animated beer commercial from the 1950’s, re-presented here because over the past two weeks, four people have asked me where they can see it, and I had to tell them that episode 19 of Radio Free Charleston is not currently online. So we’re presenting it again, this time all purple-y. Our second musical guest this week is The Buttonflies, captured live at the Empty Glass the day before their first anniversary as a band. Dave, Andrea, Max, Derek, Lorenzo, and Michael had performed earlier in the day in Huntington, then they sped eastward on I-64 in time to open for The Bible Beaters (whom you saw last week). The Buttonflies introduce themselves with the song “Lil’ Birdie”. I have to admit that The Buttonflies are one of my favorite bands to watch perform live. They always put on an incredible, fun packed show. And in that spirit, I had a real blast editing this video (featuring camera work by yours truly and the magnificent Melanie Larch). I think it might be some of my best work. Let me know what you think in the comments. We have a bonus musical guest this week. It’s Tofujitsu (a/k/a Karen and Sean). It seems that last week, when we had them on the show, I somehow managed to mix, edit, and introduce the wrong song. The song in last week’s RFC was called “Pop Up”. The song I introduced was “Clap On, Clap Off”. This time, we got it right. So wrapping up RFC 63 is Tofujitsu with “Clap On, Clap Off”, recorded at the same Live Mix party where we snagged Stephen Beckner. Sean and Karen were not really upset about my gaffe, despite the little gag at the end of the show. 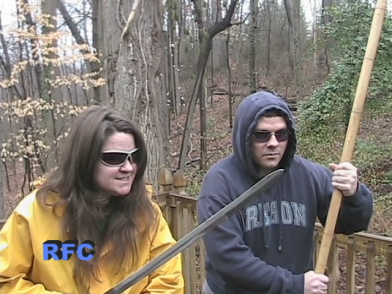 In fact, the host segments were shot in their backyard. That’s the behind the scenes dirt and gossip on Radio Free Charleston 63. 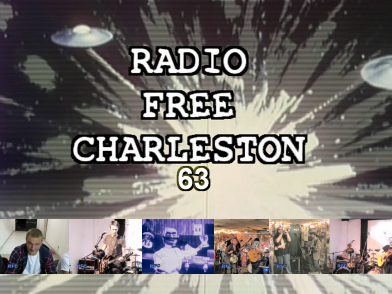 Check back in one week for what might be the most star-studded, incredible, awe-inspiring episode of Radio Free Charleston ever. Is this McAfee the guy who makes that awful software? I hope not. I installed the McAfee anti-virus suite and my computer got so hot it melted through the desk, and my credit cards got billed for something bad from Germany.